Just before Christmas last year I sent my Rolleiflex 2.8F away to be serviced because the aperture and shutter speed dials were beginning to stiffen up and I felt that it lacked the smoothness that Rolleiflex’s are renowned for. I also wanted to replace the focussing screen in it so I sent a Maxwell Hi-Lux screen with it for the service technician to install for me. 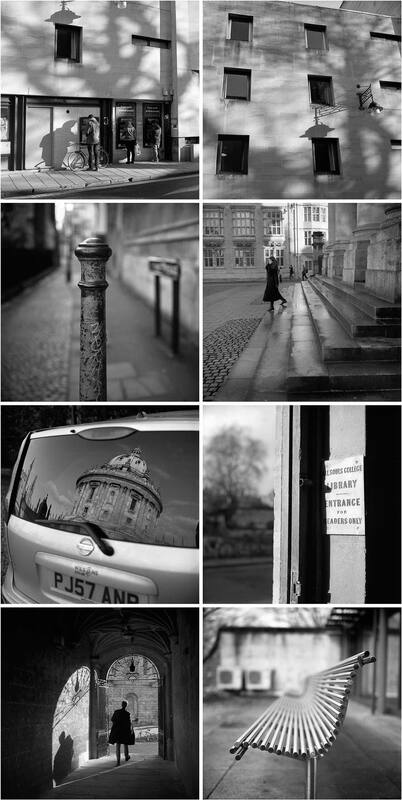 The camera has returned now so I was keen to take it out on the streets of Oxford to put some film through it. These shots are from the second roll through it (the first got sadly ruined when I processed it but I still don’t know exactly what caused the problem). I must say that the camera is a joy to use now and the Maxwell screen is amazing and a HUGE improvement over the stock screen which is very dark in comparison. I opted for a completely clear screen with no grid lines so there’s nothing to interfere with the image. [Tech info:] Rolleiflex 2.8F, 80/2.8 Planar lens loaded with Ilford FP4 (expired 2004), processed in Kodak HC110 1+31. 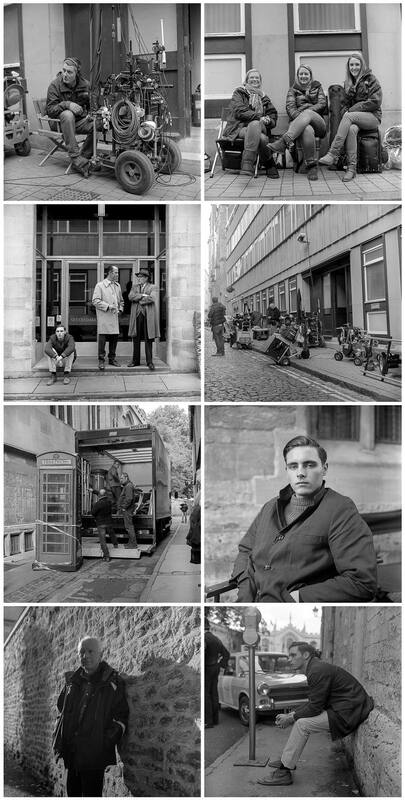 This is the last set of images I managed to make behind-the-scenes during the Endeavour filming last Sunday before heavy rain put a dampener on things. This roll of film was part of a batch that a kind friend of mine brought me over from New York but when I hung it up to dry after processing it in the darkroom I noticed x-ray scanner fogging on the roll which took the form of a zig zag pattern all the way along the film. Fortunately it’s hardly visible in the scans and that’s if you’re looking very hard. I’m really looking forward to the Endeavour crew coming back so that I can hopefully do some more behind-the-scenes photography. [Tech info:] Rolleiflex 2.8F Zeiss Planar loaded with Kodak TMAX 400 film, processed in Kodak HC110 dilution b for 5:30. Last Saturday was some sort of worldwide photo walk day where groups of photographers around the world met up in groups to walk around and do photography together. I wasn’t part of this but I stumbled across a group in Oxford city centre – the two organisers are the guys in the horse costumes. I don’t often go into town on the weekend so it was nice for me to see a totally different vibe on the streets compared to my lunch hour photo walks during the week – more shoppers and less working people out and about. I ended up bumping into some friends which was nice so we had a good chin-wag and catch up. [Tech info:] 1950’s Rolleiflex Automat, 75mm/f3.5 Tessar lens, loaded with expired Kodak Tri-X, processed in Kodak Xtol 1+1 for 8 mins. I used a yellow filter on some of these shots because the sky was cloudy/overcast so I wanted to add a little contrast. 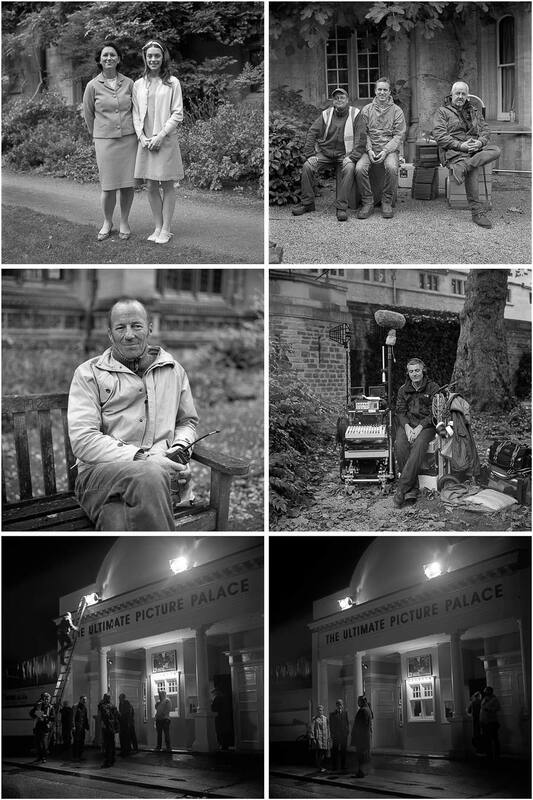 The second series of Endeavour (the Inspector Morse prequel) has started filming here in Oxford and I stumbled upon a scene being filmed during my lunch hour photo walk yesterday. I don’t watch much tv these days but Endeavour is one of my all time favourite tv shows to watch so you can imagine how pleased I was to come across the set. It’s amazing how Oxford can be so easily transformed to the 1960’s with minimal set dressing (I’ve read that series 2 is based in 1966). I only had five frames left on the roll of film I had in my Rolleiflex so I had to use them carefully. Shaun Evans who plays the title role was very down to earth and nice enough to stop for a couple of pictures, others I photographed below were some extras, the make-up artists, sound engineer and one of the guys in charge of the vehicles. I’m really glad that it was my Rolleiflex twin-lens that I had on me because it’s from the 1960’s. Some of these shots were from lunch time and some are from after work when they had moved to a different location. I would love to do more behind the scenes photography of Endeavour over the coming months but it’s impossible to know in advance when and where they’ll be filming around Oxford. 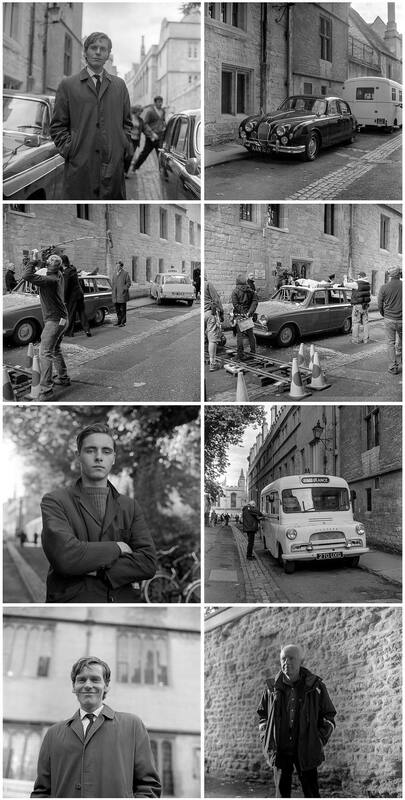 Here are some of my pictures during the filming of the final scene in the pilot episode of Endeavour back in 2011. [Tech info:] Rolleiflex 2.8f Planar, Kodak Tri-X 400 (expired) processed in Kodak Xtol 1+1. 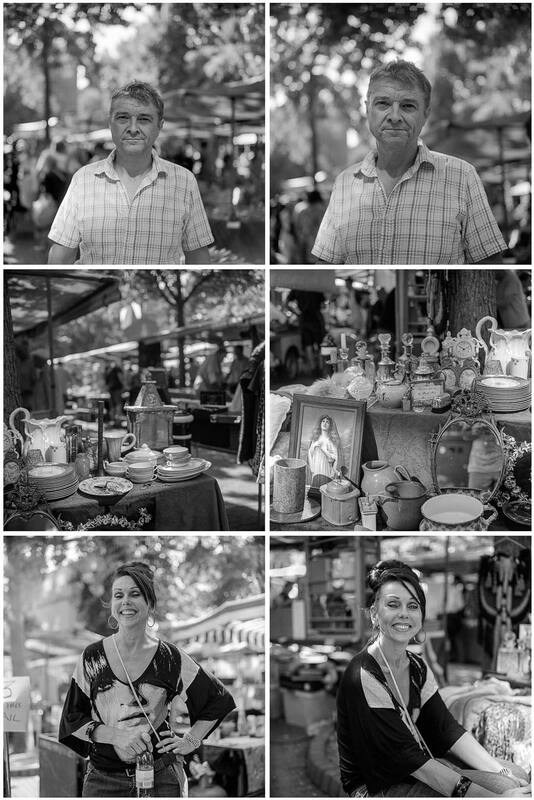 Some images I made at the Thursday Gloucester Green market to test out my Rolleiflex twin-lens camera. I don’t often go to this market but I think I might change that because there are lots of interesting stalls and people there. My Rolleiflex seemed to attract a lot of attention, I’m not sure if that’s because of the name written on the front in large letters or because it’s a twin-lens but I don’t mind chatting to people about it. 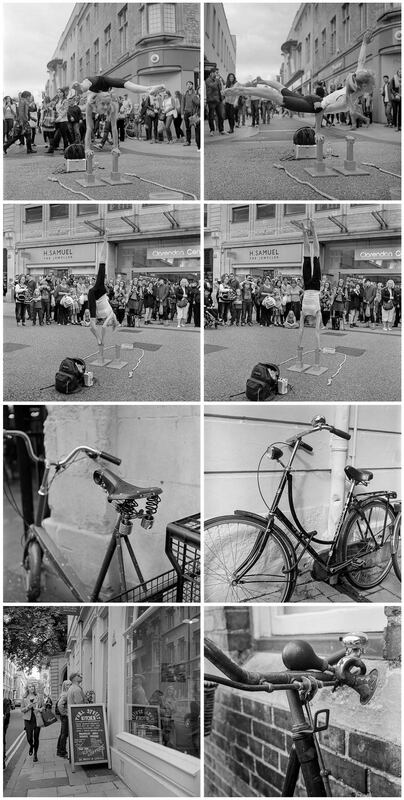 The lady in the bottom images was very nice to chat with and I think she has great style, she used to work with photographers as a stylist and it was her stall of vintage goodies that caught my eye because it was so well laid out (the two middle images). 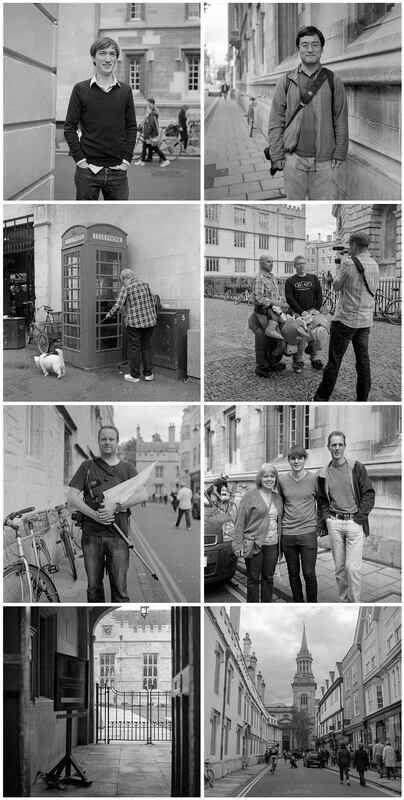 Regular visitors to my blog might recognise Martin in the top two images, he features in quite a few of my blog posts when I have a camera, lens or film to test out. He used to play in a local rock band named Targa who were big in the 1980’s and a little known fact is they were the first band to play live on the opening night of Oxford’s ice-rink. The word around the camp fire is there could be a new band forming with a few of the original Targa band members but that’s just a rumour at this stage. [Technical info:] Rolleiflex 2.8F Planar, 80mm lens, Ilford FP4 (expired) processed in Kodak Xtol. Just before St Giles’ fair rolled into town this year the weather turned autumnal which was a bit of a shock considering we had warm summer weather the previous week. On the first day of the fair it rained on and off which limited my photography so I only managed to do a fraction of what I hoped to. 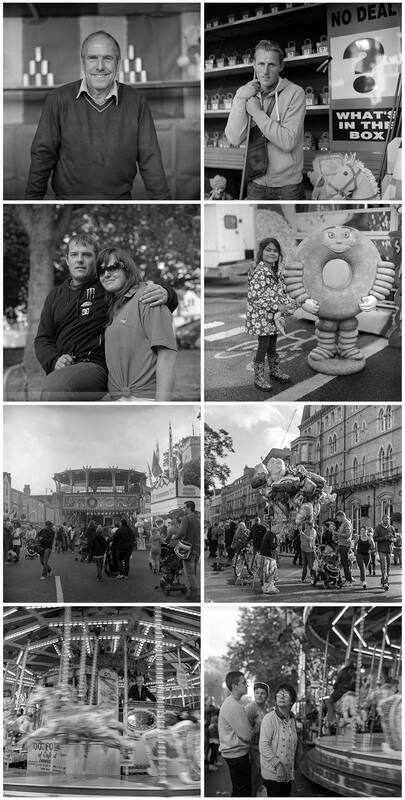 This set of images is from the same roll of film through my Rolleiflex tlr which I decided to use because of how pleased I was with the shots from my Mamiya C330f tlr I used at the fair last year but something I hadn’t factored was how limiting the fixed 80mm lens on the Rolleiflex would be. With my Mamiya I was able to change to the 65mm wide-angle lens to get just that extra bit into the frame without having to back up too far. I’ve noticed a strange anomaly in some of my frames which I hope is not a fault with the Rollei – a narrow light band across the bottom of some of the frames, visible in the top left frame and the one below it. My guess is that it might be linked to a certain shutter speed because it’s not on every frame. I’ll look into it. [Tech info:] Rolleiflex 2.8f, 80mm Zeiss Planar lens loaded with expired Kodak Tri-X 400 processed in Kodak HC110 1:31 for 7:30.